Is Lonzo Ball good? Ask a handful of NBA fans that question and you’re likely to get wildly different answers. Some will say “yes” and cite footage of the 6-foot-6 point guard who glides around the court and fires off touch passes and looks built to spend the next decade racking up triple-doubles. Those who say “no” might point you in the direction of last night’s game between the Thunder and Lakers. If Laker fans are getting a little impatient with Ball’s free-throw shooting, you can hardly blame them. He is shooting 45 precent from the line this year, which matches his career average and makes him the owner of a statistic that doesn’t seem possible. Guards, particularly point guards, are not supposed to be building brick factories at the line, and yet Ball is one of three guards in NBA history to shoot worse than 45 percent from the free-throw line, according to Basketball Reference. The only other point guard to do it is Rajon Rondo, who shot 39 percent from the line during the 2014-15 season. For all the attention that gets paid to Ben Simmons’s inability to shoot the ball from anywhere outside of 10 feet and Markelle Fultz’s inability to, well, play basketball, there’s just as much to pick apart about Ball’s game. Here’s a point guard who morphs into Shaq at the free-throw line, is shooting 40 percent from the floor and 31 percent from three-point range, and has one of jankiest releases anyone has ever seen. 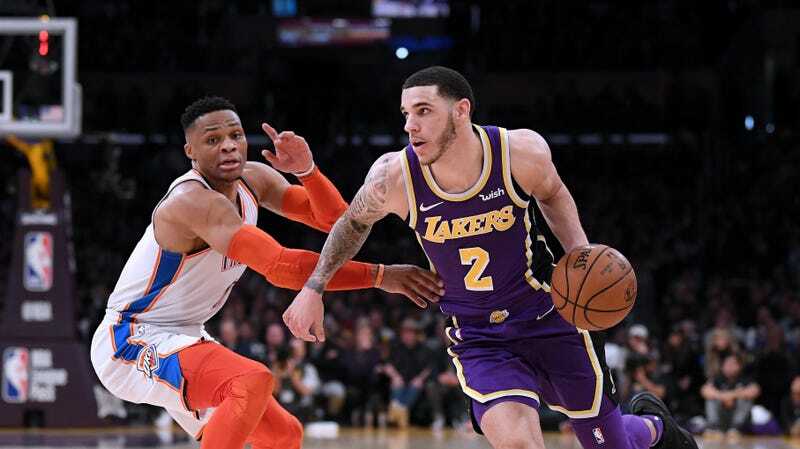 Ball still has years to develop his game answer the question of whether he’ll eventually be a good or bad NBA player, but it’s never a great sign when a guy is so bad at one particular skill that it elicits boos from the home crowd.